Go to the Regency Writings Repository where I store original texts written before and during Austen’s times. Texts Austen and her contemporaries might have read and found influential. So far you’ll find Mary Wollstonecraft, Daniel Defoe and Samuel Richardson there, among others. “Slipping into the Ha-Ha” Bawdy Humor and Body Politics in Jane Austen’s Novels by Jill Heydt-Stevenson Read on Jstor The novels of Jane Austen are filled with instances of sexually risqué humor, but this aspect of her comedy has rarely been recognized or subjected to extended critical comment and analysis. 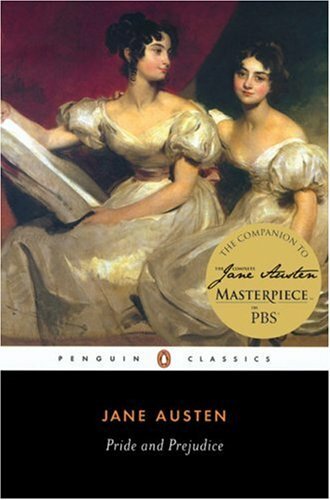 This essay examines the way in which Austen integrates bawdy humor into three of her novels-Emma, Mansfield Park, and Persuasion-in order to demonstrate the surprising prevalence of this material and to show how Austen marshals bawdy humor both in the service of a critique of patriarchal culture, including the system of marriage and courtship, and as a way to affirm the vigorous reality of female sexuality. In Emma Austen uses the riddle “Kitty, a fair, but frozen maid” as the basis of a subversive portrait of the profound linkages between courtship and venereal disease; in Mansfield Park (the novel perhaps most replete with sexual material) she wittily but also poignantly dissects the fine line between the marriage market and prostitution; and in Persuasion Austen’s bawdy joking becomes a way to affirm the strength and pleasure of the female sexual gaze. This essay offers a more comprehensive view of the uses to which Austen puts her bawdy humor; it not only helps to clarify her fictional art but also breaks down the image of her propriety that has so long limited our full understanding of Austen and has rendered her less-chaste comedy especially unintelligible and inaccessible. Zadig or, The Book of Fate by Voltaire An early detective story.